I had bronchitis for fifteen years, twice a year. Then I found the Z-Pack (Zithromax) and it was nirvana. This is an antibiotic meant for respiratory illness. Only six pills. And you feel well the next day. It’s a powerful antibiotic. And just by that definition, you have to know, it’s not good to continually take it. Then in 2005, I needed to take the Z-Pack the third time. And I knew this was getting out of control. Too many antibiotics and you become immune to them. So my girlfriend, Marion, suggested I send someone to her house to get Flu-Ban. 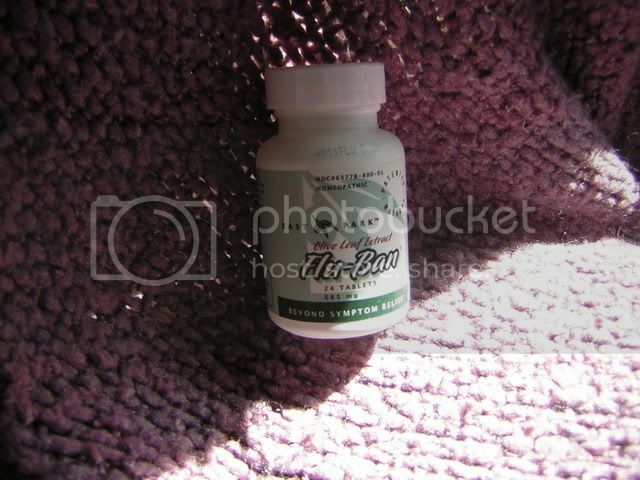 I would get so sick with bronchitis that I could not imagine any herbal treatment working. But I was desperate. So I got the Flu-Ban. I took it at work and by the time I got home, I knew it was effective. I was already feeling better instead of the usual flatlining where I was so achey and miserable that I would wish I could be put out of my misery. Marion made me promise I would stay home the next day. So I did. I sat on my bed and paid bills. I felt fine. In fact I felt exactly like I did when I took a Z-Pack. Exactly. The main ingredient in Flu-Ban is olive leaf extract which is nature’s antibiotic. But there is something even more special about this homeopathic blend. It costs $15. There is a senior discount. The only way I know to buy it is to call 1-800 345-8367. It is made by East Park Research, Inc. I don’t make any money from it, however, I would love to sell it on my site someday. Caution: Don’t take it too often. It quits working. I have not taken antibiotics since 2005 for bronchitis. I also have a way to avoid taking Flu-Ban, because you can take it too much. I get post-nasal drip when I’m beginning to be sick. So I take one echinachea pill and a half an anti-histimine. That usually stops the process. But if it doesn’t, I take Flu-Ban.